If you ask any Metal Gear Solid fan which game is their favorite of the series, Metal Gear Solid 2 would likely be at the bottom of the list. I used to be one of those people, but after replaying the game several times over the years, I’ve learned to better understand and accept the game as it was. Most people criticize the game because the plot was hard to follow. It’s hard to follow mostly because series creator, Hideo Kojima trolled fans by replacing Snake as the main character for the new protagonist, Raiden. I was just as abrasive to the change as everyone else back in the day, but later began to appreciate the new role. Once I came to terms with that, while also better comprehending the story, MGS 2 became a greatly underrated game instead of a great disappointment. It’s understandable why fans were upset when they found out, mid game, that they would no longer be playing as Solid Snake. All of the marketing footage gave the assumption he was naturally the main playable character in the game. Plus, he was a widely popular character. I was not happy about playing as a new character, especially someone whose name sounded like a Mortal Kombat fighter. The more I played, the more I grew to appreciate what the game was trying to do. By playing as a rookie soldier and seeing Snake from an outside perspective, it made the greatness of Solid Snake even more apparent. Instead of fumbling around, looking ridiculous as you control your character, Snake was able to completely show why he was better than Raiden. 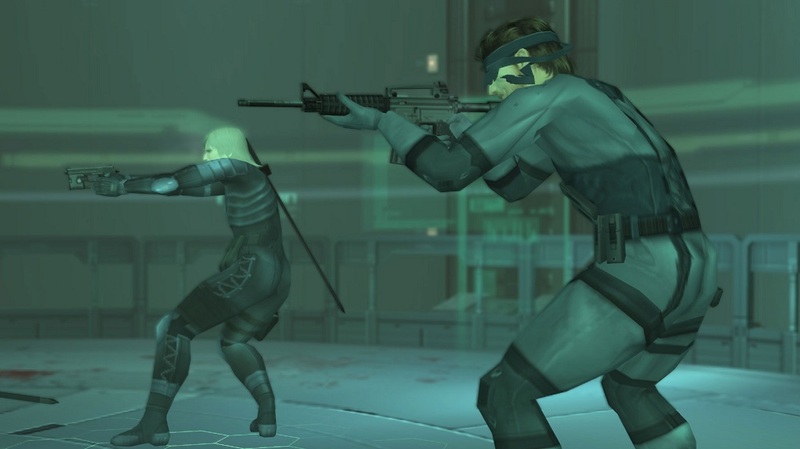 Snake was calm, efficient, and experienced compared to Raiden’s constant whining, doubt, and inexperience. If anything, it made me love Snake even more, and that couldn’t have been done by constantly failing the game as a controllable character. The story was another debate that had fans divided. Metal Gear Solid stories have all been convoluted and weird, but MGS 2 is when the series really began to make you think, “what the heck?” The final section and plot twist completely changed the direction of the entire franchise, and it was so complicated, it initially made no sense. It wasn’t until the 3rd and 4th game of the series when things finally started to be understandable. That being said, the final sections of the game did hurt my enjoyment, because it turned a relatively straight-forward game into something that is hard to describe when first experienced. Surprisingly, I enjoyed the story much more upon a third playthrough, after playing MGS 3 and MGS 4 years later. Back in 2001, especially when comparing the Playstation 1’s capabilities, MGS 2’s gameplay was mind blowing. The ability to switch from third to first person view to aim, and precisely shooting tiny, individual pieces of the environment was something unheard of at the time. Advancement in enemy AI was also impressive. Instead of easily and safely eluding enemies upon discovery, enemies would actively call in reinforcements and hunt you down. In the games often narrow level design, alluding enemies became difficult. Often times felt like a chore, because it took forever for the enemies discovery/search counter to deplete. By today’s standards, the advancements in gameplay do not seem as significant, but that certainly was not the case at the dawn of the PS2 era. Back in the Playstation 2’s debut, MGS 2 was the definitive showcase to the impressive power the system was capable of handling. Now remastered in HD, the game looks even better, but still shows its age. 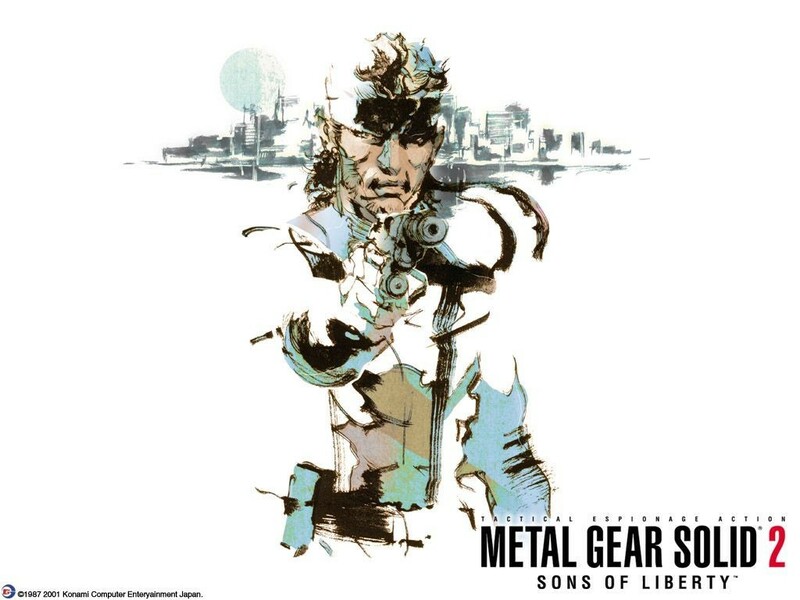 Compared to Metal Gear Solid 1 the music didn’t stand out to me as much, aside from a few exceptions. Metal Gear Solid 2 is a game that you must play at least twice to try to comprehend the story. At one time MGS2 was easily my least favorite of the franchise, but after replaying the game years later, I really can’t say that anymore. The truth is, I can’t completely decide where I would place it on the list. I’ve known people who have wanted to play Metal Gear Solid 4, but haven’t played 2 or 3. If you want to play MGS 4, MGS 2 is an absolute must play in the series, more so than 3, and maybe even 1. The idea’s and concepts taken from MGS 2 would heavily decide the direction and tone of the rest of the franchise, and anyone would be lost having not played MGS 2. Metal Gear Solid 2 is a game that you must play at least twice to try to comprehend the story. At one time MGS2 was easily my least favorite of the franchise, but after replaying the game years later, I really can’t say that anymore.